World AIDS Day is held on 1 December each year and is a global opportunity for people to unite in the fight against HIV, show their support for those living with HIV and to commemorate friends and loved ones who have died. Ideology's first and memorable campaign for the National Aids Trust, promoting the Red Ribbon as a symbol of AIDS had been hugely successful. But now it was important to highlight the global nature of the campaign. It needed to be inclusive – promoting the idea of people all round the world working together to beat discrimination and negative attitudes to people with HIV and AIDS. We commissioned renowned artist Chris Corr to produce vibrant illustrations to communicate this and to be used across a range of media. Posters, T-shirts and leaflets were all distributed. Information packs using Chris’s illustrations were also produced to give best practice examples and advice to people promoting their own events for the day. 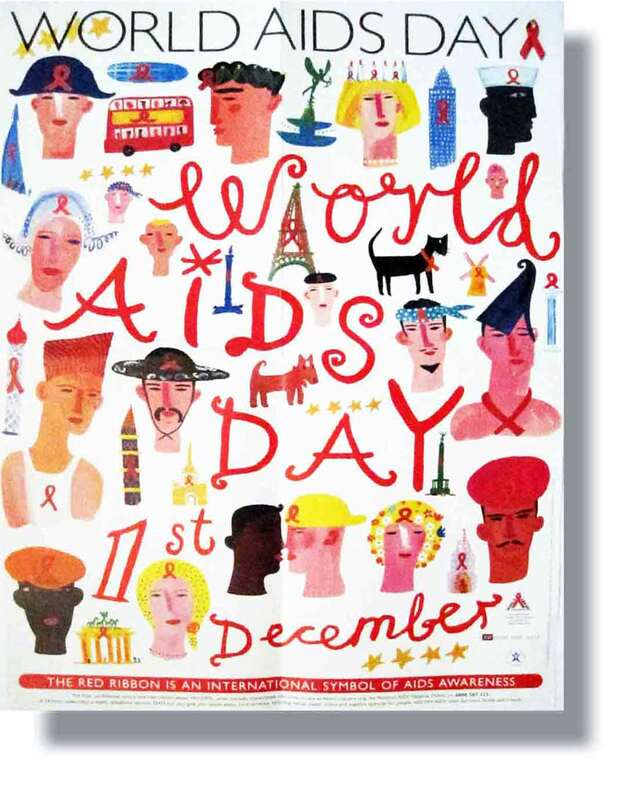 Ideology’s design outputs were instrumental in defining the profile of World AIDS Day in the UK. Taking it from grass roots to national prominence. The experience and skills I personally gained on the numerous campaigns working closely with Ideology developed and improved my effectiveness as a communication specialist. I always feel when working with Ideology that my creative ideas and suggestions are considered, explored and incorporated into the design process. I strongly recommend Tony and Ideology for all your design needs and look forward to working with him again on my future projects and campaigns.